I’m still not able to distinguish the male from female quails. They are now approximately 3.5 weeks old. 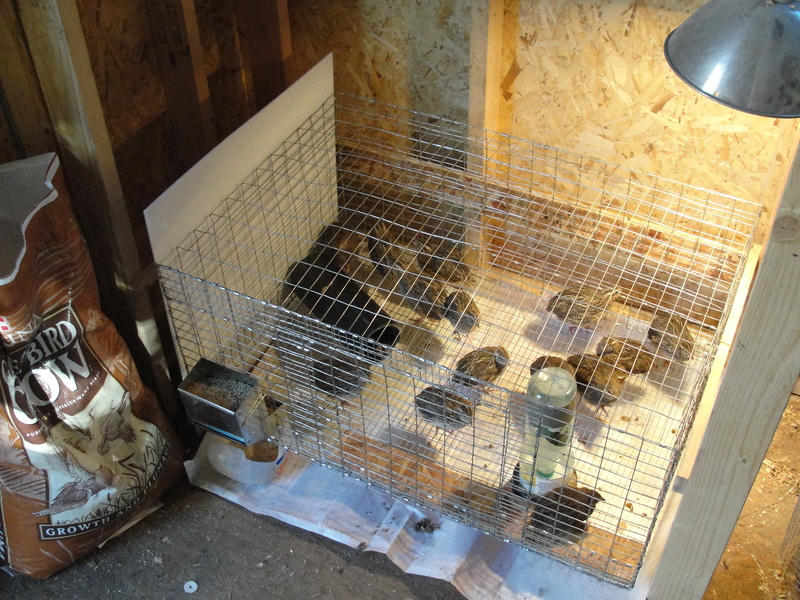 They outgrew their brooding pen so I moved them into an unused rabbit cage inside of my shed. It is important to have a tray underneath their cage to catch the massive amounts of bird droppings. that’s so cool. are you going to eat them? Hey Natasha! Yes we plan on eating them, eating some of the eggs (even though they are tiny), and incubating the remainder of the eggs to make more birds. 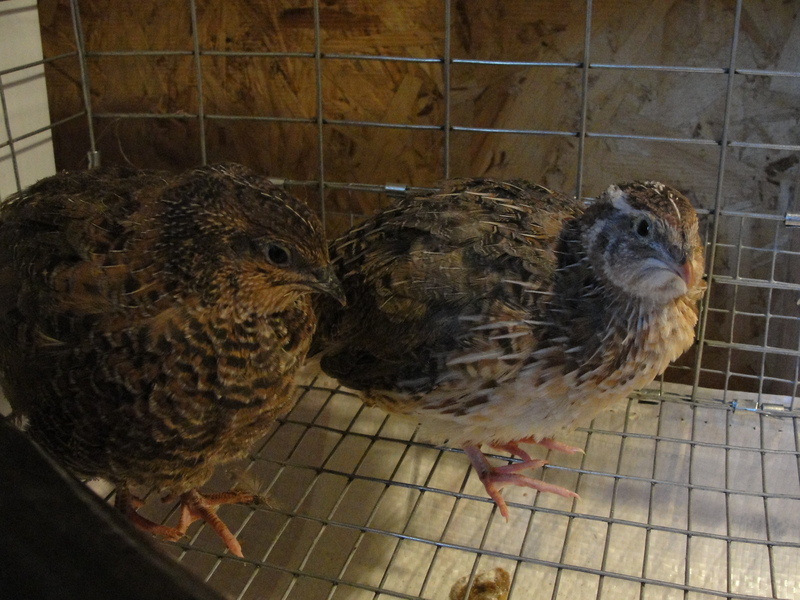 With chickens I can’t have a rooster within the city limits, however with quail I can because they are indoors. This allows me to reproduce more birds and expand the flock right here at my house. Stay tuned for posts about the baby quail in the not too distant future.